1.1. An Active Member is defined as a PAID Team, Club Level I, Club Level II, or Provincial Sports Governing Body (PSGB) accredited by a ¾ vote of the STAC Board of Directors and is in good standing. Accreditation and standing of such members will be reviewed annually at the STAC Annual General Meeting. 1.2. An Active Member must be active in offering a variety of participant opportunities throughout their geographical area and must have a minimum of 3 – 5 registered players for a Team Member, 12 registered players for a Club Level I Member, 24 registered players for a Club Level II Member, and 50 registered individual members for a PSGB, to be accredited as an Active Member. Any individual registered into their local Sepak Takraw programs or tournaments will automatically be regarded as a member of their association for that program year. 1.3. An Active Member must have paid its membership fees for the current year to be considered in good standing with STAC. 1.4. Membership fees shall be dictated by a formula that is based primarily on each region's own membership and the population base. The STAC Board of Directors may set the formula for the assigning of fees as deemed necessary and may change from time to time. 1.5. The STAC office will come to the Annual General Meeting every year with a proposed operating budget that will divide designated monies equally among PSGB Members. 1.6. The Active Members of STAC, acting as agents of STAC, shall register all individuals, teams, organizations or groups according to classifications, procedures, and at set costs, as delineated by STAC. For purposes of registration, there shall be an INDOOR Sepak Takraw season and an OUTDOOR Sepak Takraw season. 1.7. New Active Memberships will be considered when an application for Membership is submitted; along with proof of the appropriate amount of registered members and of a variety of participant opportunities, 60 days prior to the STAC Annual General Meeting. 1.8. Active Members are responsible for carrying out the policies and procedures of STAC as designated and with the intent established by the STAC Board of Directors without any remuneration from STAC for their services except for authorized expenses. 1.9. Any member may withdraw from STAC by delivering to the corporation a written resignation and lodging a copy of the same with the secretary of STAC. 1.10. Any member may be required to resign by a vote of three-quarters (3/4) of the members at an annual meeting. 1.11.1. All players, coaches, referees, volunteers, and other participants must complete a local, regional, provincial or national registration form, a copy of which must be accessible to the STAC Office upon request. 1.11.2. Provinces shall receive ONE vote for up to 24 members, TWO votes for 25 – 99 members, THREE votes for 100 – 499 members, and FOUR votes for 500 or more members. 1.12.1. Active Members have the right to vote at the STAC Annual General Meetings. The number of individuals or votes that will represent a region or province will be 1- 4, depending on local involvement. The STAC Board of Directors may set the formula for the assigning of votes as deemed necessary, and may change from time to time. 1.12.2. Any person that is registered as an Active Member is eligible to be considered for the office of STAC Regional Director for their region, and it is the Regional Directors who make up the STAC Board of Directors. 1.12.3. Active Member organizations will have direct access to materials, support, training (coaching, refereeing, running tournaments, etc.) and certification in the sport of Sepak Takraw, and will be made aware of any changes to rules, etc. 1.12.4. 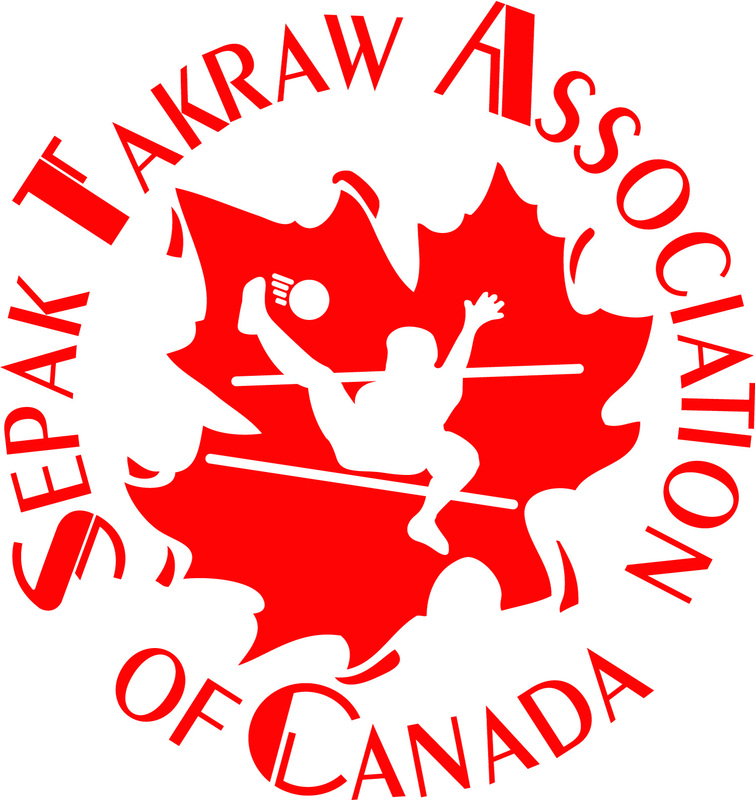 Active Members will have direct communication links to other organizations and Sepak Takraw programs throughout Canada. 1.12.5. Active Member organizations will be able to set up their insurance under the umbrella of STAC. 1.13.1.5 ONE free Takraw ball of choice from STAC’s available stock in membership year. 1.13.2.8 Club Teams/Players are eligible for playing in official STAC-sanctioned regional and national competitions, as well as for national team selection (as long as they participated in the current year’s national tournament). 1.13.3.8 Club Teams/Players are eligible for playing in official STAC-sanctioned regional and national competitions, as well as for national team selection (as long as they participated in the current year’s national tournament). 1.13.4.6 Paid, registered Teams/Players are eligible for playing in official STAC-sanctioned regional and national competitions, as well as for national team selection (as long as they participated in the current year’s national tournament). 1.13.4.7 Annual funding from STAC to help with provincial program development and operational costs, the amount of which shall be based on a formula that considers number of members and population base, set by the board of directors as deemed necessary and may change from time to time. This is also dependent on the amount of funding that STAC able to acquire for this purpose, as well as the ability of the PSGB to show that they are truly developing and growing the Sepak Takraw in their region. 2.1. Honorary Members are defined to be officers of STAC (volunteer or professional), members or former members of national teams and any individual or group deemed to be deserving by a 2/3 vote of the STAC Board of Directors. 2.2. An Honorary Member is not required to pay any fee as such, but is not eligible to vote at the STAC Annual General Meeting. 2.3.1.2 Free access to the forums, club location guide, and all other features that will become active when the STAC website is completed. 2.3.2.3 Free posting and maintenance of contact information on the STAC website to attract new members and networking.